The North American PSN Store will not be updated today but in order to keep the weekly Thursday tradition, here are the PSN updates from the rest of the regions. Several games were added including Intelligent Qube and Biohazard 2. Swords, blood, geishas, and mini games, what more can we ask for? Let's hope that Sega adds English subtitles to the Ryu ga Gotoku Kenzan or Yakuza 3. Here's a quick video from bxms912 showing us how to install Unreal Tournament 3 mods on the PS3. It shows the first mod for the ps3, a deathmatch map called "Shrine" created by Setheran. How to install UTIII mods for the PS3. Unzip the dowloaded files to a USB Memory Stick. It should be a \PS3 folder. Press [ ] Square on your controller to "Import Content". "Do you want to import the data?" Select Yes. The ps3 will now import and unpack the mod. You will now see the mod listed in "My Content" and you can use it in any game that the mod is made for. Here are the download links for some PS3 UT3 Mods. It's the last Thursday before Christmas, does PSN have something special for the holiday? Well here's what's new at your nearest PlayStation Store. 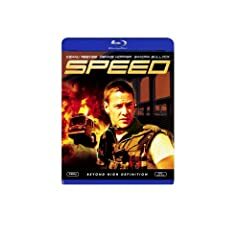 Here are 6 blu-ray movies for $14 each. A Holiday Gift to All Folklore Fans! There has to be 10 or more space images with the new visual player which was included in Firmware 2.10. 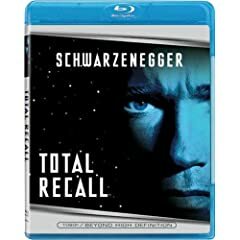 Buy one blu-ray movie and get another one free. It's mostly action flicks, 44 in all. 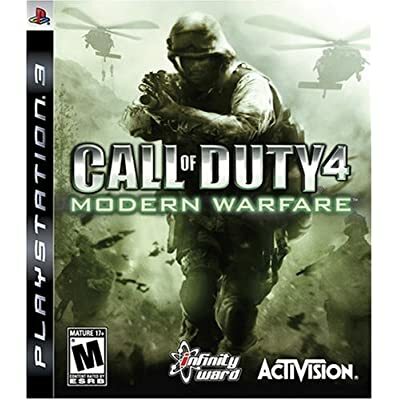 One of the must haves for the ps3, Infinity Ward's Call of Duty 4 is on sale for $39.99 shipped. You can also get the 40gb ps3, Spiderman 3, and Rock Band Bundle and get $25 off. Should you stay or should you go now? Don't fear the reaper! Go with the flow and pick up this epic pairing of one of the hottest games of the year, Rock Band Special Edition with the cutting edge PS3 40GB console. Buy them together now and we'll give you $25 off. The only other thing you'll need? More Cowbell! Discount is applied at checkout. Offer good while supplies last. Here is the 13th of December update for the PSN Store in most of the regions. Kate Miller-Heidke "Make it Last"
A game from Gust Co. Here are the first videos from Gran Turismo 5 Prologue Japanese Edition and the new London track. You can also see that the character now removes his hands from the steering wheel to shift. Any of the Brits know where this location is? 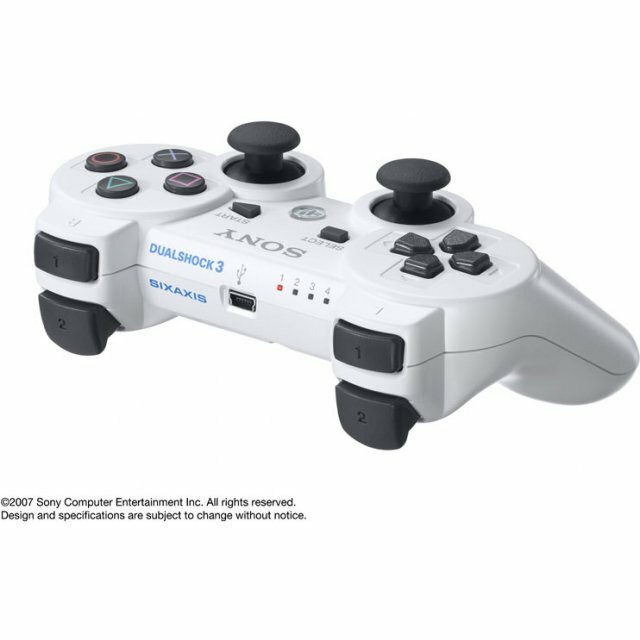 If you can't wait until the spring of 2008, tentatively, you can order the white or the black DualShock 3 and use the code RE-XMA-SAA to get $5 off of a $50 purchase or RE-XMA-SAB to get $10 off of a $100 purchase. The price is reasonable, considering that the original price for the Sixaxis was $50. 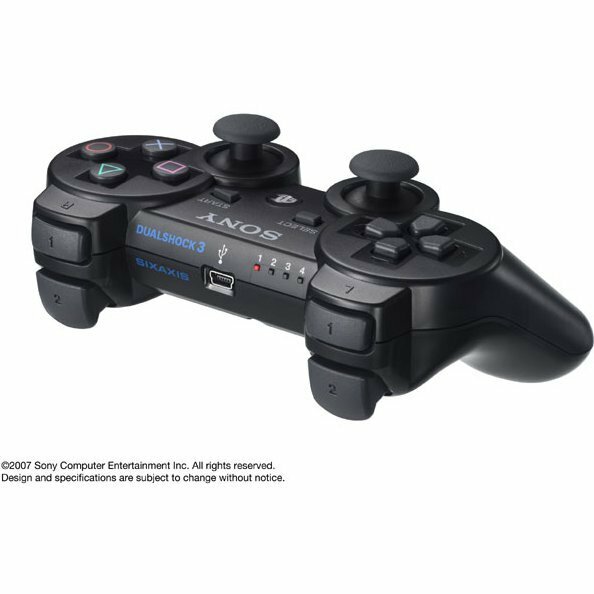 You can check the list of dualshock 3 compatible games here. Here's the newest trailer of LittleBigPlanet from Media Molecule. It seems that we will be able to use vehicles, well a pirate ship at least. We need this game now! More info on LittleBigPlanet here from an old post. Click here to get a 40gb PS3, Blu-Ray Disc Remote, and Stanglehold for $399.99 shipped. Day 1: Buy PS3 40GB console, get PS3 Blu-ray remote and Stranglehold Collector's Edition free. Cutting edge next-gen video game console? Check. Includes hi-def Blu-ray video drive? Yup. Thrilling action-packed first person shooter game? Sweet. Bonus Blu-ray disc of classic Hong Kong action flick Hard Boiled in collector's edition? Oh, yeah. Remote control to enable comfy viewing while lounging? Ding. Nice package, eh? Buy a PS3 40GB console, get the PS3 Blu-ray remote and the Stranglehold Collector's Edition free. Discount is applied at check out. Offer good while supplies last. Click here to get the following PS3 game and accessories offers. 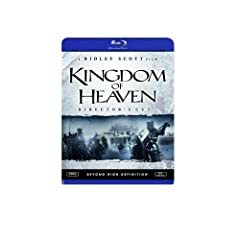 Select any two titles from the list below and get one of them free. The promotional discount will be applied at checkout to the title of lesser cost. You will see a credit in your shopping cart. Limit three of each title per customer. Quantities are limited; order now before we run out. There are 37 titles including 300, The Departed, and Blood Diamonds. You Can Change Your Password! PS2Dev and Nouveau has accessed the RSX for 3d graphic acceleration in Linux through the PS3 hypervisor, you can read more about the project here. CNLohr shows us the 1st demo. This is an example of some code running on Linux, under the hypervisor talking to the Nvidia RSX (video card) on the PlayStation 3. This is done entirely without proprietary drivers. Shown is 3 animated quads, drawn in immediate mode as well as a series of triangles in the background drawn using an index buffer. This demo is a modified version of IronPeter's libps3rsx from ps3dev.org as of November 13th. It's running using a patched 2.6.24 experimental, unofficial kernel on Gentoo Linux. Until recently, not enough was known about how to use the RSX to make any headway to usable, free access to the 3D contexts on the GPU on the PS3. With some excellent work from people in both the Nouveau and PS2Dev groups, homebrew developers may soon be able to write their own 3D applications. here is mc's demo from ps2 dev. 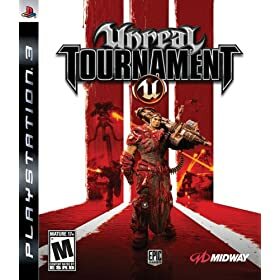 Here's some Unreal Tournament III on the PS3. Order UTIII now for a December 11 delivery. Gran Turismo 5 Prologue's release date is finally known for North America. 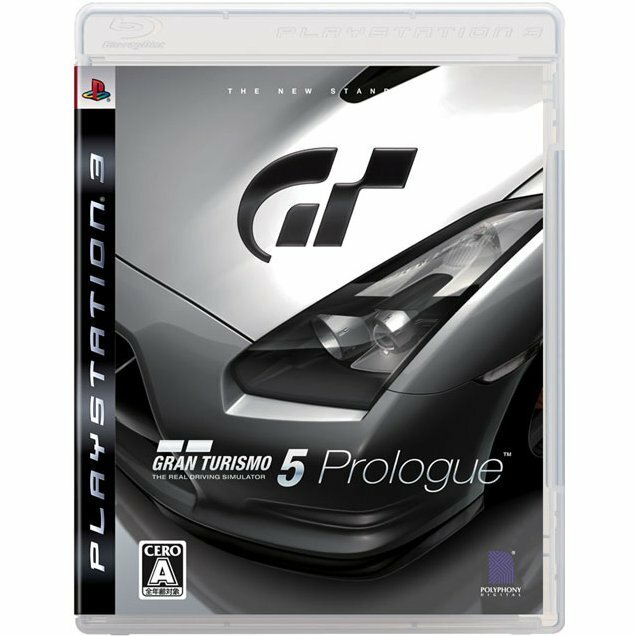 GT5 Prologue will be out in Japan this December and the North American version will be released on February 19, 2008. Here are some new Killzone 2 screenshots from Gamersyde. These screenshots seem to be from the same level as the development video from Games Convention 07.